CBSE Compartment Exam 2018 – The CBSE Compartment Examination for Class 10 and 12 will be held on the scheduled date. The Board will conduct the exams in the month of July 2018. The compartment (class 12) and improvement of performance (class 10) exams will be held for those candidates, who did qualify a subject in the main exams. 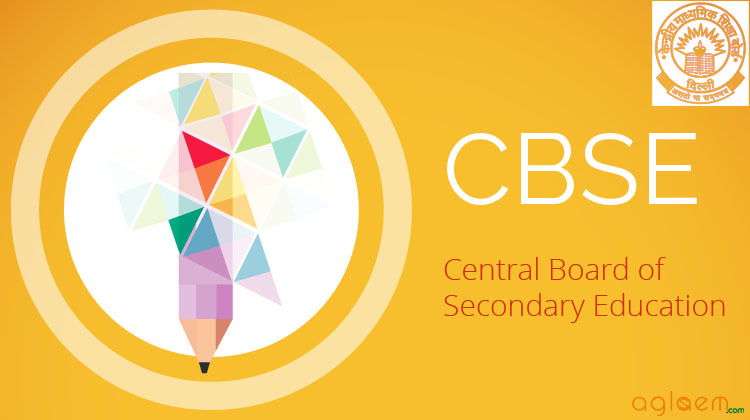 Central Board of Secondary Education has releases date sheet for compartment/improvement exam. The result of CBSE Compartment Exam 2018 will be announced at the official website after the successful completion of the compartment examination. The candidates may also be able to check their compartment result from the link below. Apart from that, more details about CBSE class 10 and 12 compartment exam result 2018 is given in the article below. Latest: Marking Scheme & Question Papers for CBSE Compartment Exam 2018 has been released. Candidates can check the same from the link given below. Candidates who have appeared in March 2018 Examination as a Private Candidate and placed under compartment (Class XII) or (Class X) will be eligible to apply through the CBSE website. Details in respect of students who are eligible to apply will be auto-generated in the online system. If a candidate makes wrong entries in his/her application form or submits false information, statement or produces false document, his/her form shall be rejected and fee paid shall be forfeited. You can download CBSE compartment examination 2018 datesheet (official) here. The Central Board of Secondary Education (CBSE) has released the question papers of CBSE Compartment Exam 2018 for class X & XII. Candidates can check the question papers through the link provided below for respective classes. Click Here to check the CBSE Compartment Exam 2018 Question Paper for class X.
Click Here to check the CBSE Compartment Exam 2018 Question Paper for class XII. The Central Board of Secondary Education (CBSE) has notified the marking scheme for class 10 and 12 compartment examinations. Candidates can check the marking scheme from the official website OR through the link provided below. Click Here to check the Marking Scheme of CBSE Compartment Exam 2018 for class X.
Click Here to check the Marking Scheme of CBSE Compartment Exam 2018 for class XII. Merely Submission of form and fee would not entitle a candidate to appear for the Compartment/IOP Examination and those who are applying for the Examination should ensure that they fulfill all eligibility criteria as stipulated in the Notice. If it is found at any stage that he/she does not fulfill the stipulated criteria, his/her application will be cancelled and fee forfeited. Enter your Roll No. School No., Centre No. as mentioned in the admit card. Submit the application and note down “Application ID”. Go to Fee payment option and make payment. Signed copy of confirmation page, copy of Marksheet should be sent to ‘Regional Officer, CBSE Regional Office” within 7 days as per address given in confirmation page. Candidates who have appeared in 6 subjects in March 2018 and declared PASS but could not clear one subject can appear in that subject in July 2018 Examination as an Improvement category. Compartment Examination 2018 will be the last chance for candidates who appeared class XII Examination held in March 2017 Examination. clear one subject can appear in that subject in July 2018 Examination as an Improvement category. Class X Improvement of Performance Examination July 2018. Regular Candidates of CBSE affiliated schools who appeared in March 2018 [SA2 under Scheme- 2 (Board Based)] and placed in the category EIOP. Admit card for CBSE Compartment Exam 2018 will be uploaded on the official website, Which can be downloaded using the User ID & Password through the direct link provided below when it is available. For more detail of CBSE Compartment Exam July 2018 – Download Official Notice. Below are links for some previous year CBSE Question Papers for Compartment Examination. Also its always suggested to refer to the Syllabus and Sample papers while preparing for the examination. Links to all the important resources are given below.